NBA coaches snubbed Ben Simmons during last year's rookie season and they did it again to the Dallas Mavericks' teenage star Luka Doncic. Ben Simmons has been named an NBA All-Star. The Australian 22-year-old was snubbed last year despite putting up historic numbers for the Philadelphia 76ers in his rookie year, but was named on Thursday as one of the players coming off the bench for the Eastern Conference team in the February 17 All-Star game in Charlotte, North Carolina. 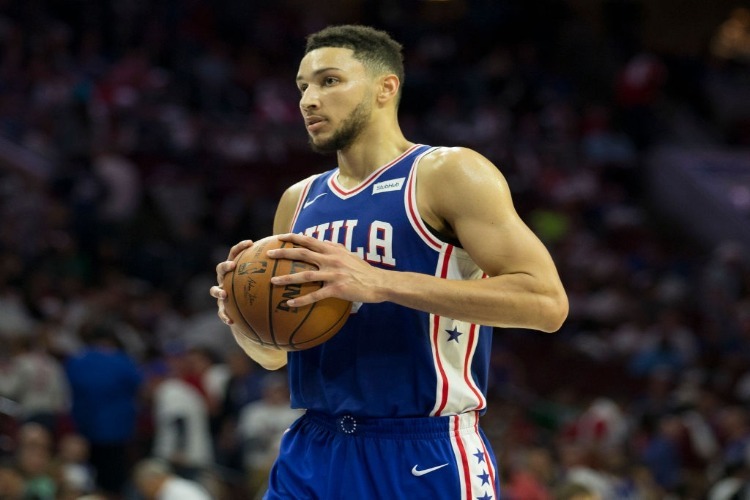 Simmons launched a comprehensive social media campaign to score votes but failed to be named last week as an All-Star starter from a tally of fan, media and NBA player ballots. The bench players announced on Thursday were selected by coaches. Last year the coaches gave rookie Simmons the cold shoulder and the theme continued with the Dallas Mavericks' outstanding rookie Luke Doncic snubbed by the coaches this year. This is despite Doncic receiving one of the highest fan votes among all players. The Utah Jazz were also among the snubs with the coaches not deeming centre Rudy Gobert and Simmons' great rival, guard Donovan Mitchell, worthy of All-Star selection. Joining Simmons as Eastern Conference reserves are: Victor Oladipo (Indiana Pacers), Kyle Lowry (Toronto Raptors), Blake Griffin (Detroit Pistons), Khris Middleton (Milwaukee Bucks), Bradley Beal (Washington Wizards) and Nikola Vucevic (Orlando Magic). A replacement is expected to be named for Oladipo after he suffered a season-ending knee injury last week. The Western Conference starting squad is lethal with LeBron James partnering with Kevin Durant, Paul George, Stephen Curry and James Harden.